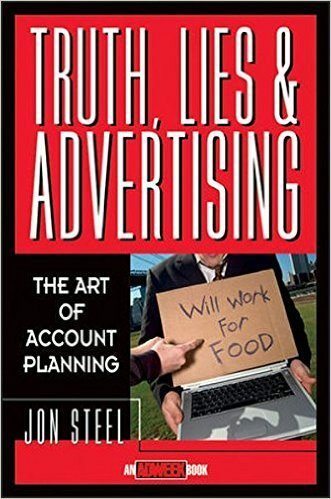 By Jon Steel, is the single best book on how smart brand planning adds value to the whole creative process. Steel is also the author of Perfect Pitch: The Art of Selling Ideas and Winning New Business. He’s a joy to read and so smart.